The process of applying for visas for Indians wishing to immigrate to Denmark was made easier by the introduction of a facility to handle visa applications in centers such as New Delhi, Chennai, Hyderabad, Mumbai, Bangalore, Pune. This is due to the increased demand for both work permits and residence permits in the country. For an individual planning to immigrate to Denmark he/she has to complete the entire process in person. This is because the biometric data of the individual such as fingerprints and facial pictures have to be taken at the beginning of the application procedure. Additionally, the applicant also has to carry copies of all supporting legal and educational documents together with pages of the individual’s passport. For the residence permit, an individual assessment has to be undertaken especially if the individual is applying through the Green Card Scheme. The application process requires the individual to score a number of points that will enable him/her be eligible to continue with the process. Factors such as education, language skills, and adaptability are measured to determine the perfect individual that can be allowed to immigrate to Denmark. Requirements include a valid passport issued in the previous 10 years, two blank pages in the passports well as the relevant forms and supporting documents. Additionally, the application can only be accepted within three months of the time of expected arrival into the country. Processing time in most cases will be approximate 16 days. The applications that are accepted at The Danish visa application center will be submitted on the next working day to the Embassy. In other cases, applications may need some extra time so as to be referred to The Danish Immigration Service in which case the processing time can take up to 8 weeks. Currently, the Indian population in Denmark has grown to approximately 2,150 individuals that comprise a mere 0.4% of the entire population of the country. With this percentage being mostly skilled labor that includes doctors, computer professionals, restaurants owners, and journalists. The immigration process, therefore, is very straightforward for any of the applicants that meet the minimum requirements. 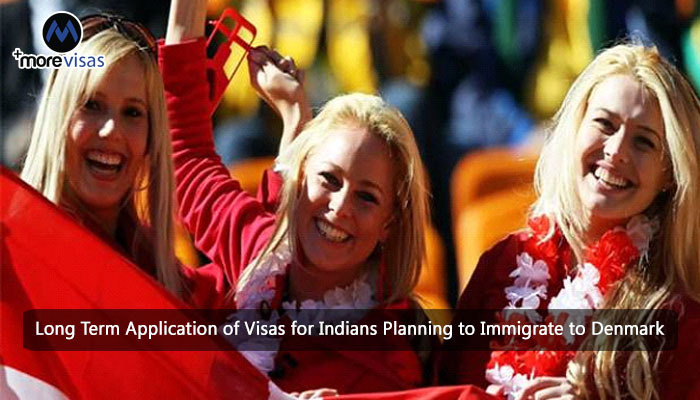 Indians wishing to move to Denmark, therefore, have opportunities to begin their new lives in the country with these conditions. Denmark is very good nice country.